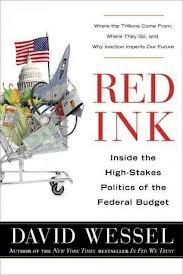 Red Ink: Inside the High-Stakes Politics of the Federal Budget by David Wessel is worth reading. I liken it to a Las Vegas buffet. The proper way to attack a Las Vegas buffet is to stop the urge to grab a plate and start piling meats, potatoes, veggies, fruits, and biscuits until your biceps bulge. 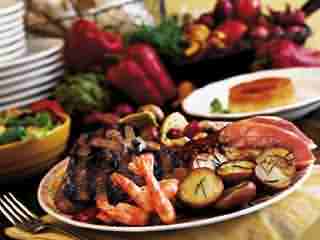 Instead, you walk the buffet line from start to finish and see everything that is there. 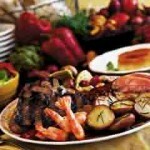 It’s especially true at The Buffet at Paris – loaded with great French food from the various regions. Once you’ve seen everything, then you can attack it properly, taking the right portion of all you want – without missing anything you really want. That’s what reading Red Ink does. 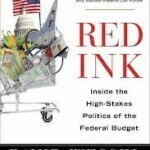 It allows you to stomach the negotiations on the fiscal cliff and the budget crisis. You can get it from Amazon or Audible. 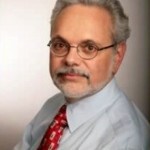 Wessel is a Wall Street Journal columnist. You can also follow him on Twitter. This is a good read to brush up on the cornucopia the budgetary matters you have been hearing about. Red Ink, however, is a must for someone who has never been to the smorgasbord of numbers thrown around in Washington. (Don’t worry. Everyone does.) I still can’t believe the amount of money the federal government gives away to people every year. Wessel explains that. He also explains the programs where people or companies get money – expenses that aren’t needed — for private farmland or dams. We need a combination of higher taxes and revenues and spending cuts especially on Medicare. It can’t be done any other way. This is like that great prime rib. We can’t pass this up – no matter what. Social Security has to be added to the mix. Yes, it is solvent for now. But in 15 years it might not be. Let’s correct things now. Yes, we need to eat some veggies and salad too. We all pay fewer taxes than in the past. All of us – wealthy, middle class, and yes the poor – need to pay more. Granted, we still need to care for the neediest among us. But the able-bodied poor will have to do more too. We need to do something now. The consensus is to jump-start the economy by getting people back to work with some investment in workers and industries. But just as immediately, there needs to be mechanisms – firmly in place — that will start reducing government spending. The problem is our politics. No one will compromise. The problem is solvable. Wessel mentions the Simpson-Bowles report and even quotes Erskine Bowles in the book. The star of the book is Pete Peterson. He’s put $1 million of his own money into the Peter G. Peterson Foundation to help educate all of us on the dangers we face with this unsustainable deficit. He’s in his late 80s now, but he’s been railing against senseless tax cuts and over-spending since Reagan. 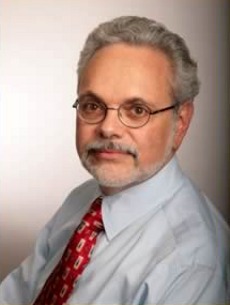 He wrote a great book about 10 years ago called “Running On Empty: How The Democrats and the Republicans are Ruining Our County and How to Stop Them.” It’s a classic. Wessel has a good lesson when you listen to the fiscal-speak. Deficit commissions and politicians often talk about their plan to cut the deficit by, for instance, $4 trillion over 10 years. The cognoscenti ask: Compared with what? What “baseline” projection for spending and taxes are you measuring your plan against? Do you assume that the Bush tax cuts will expire at year-end, bringing in lots of revenue, or do you assume that they will be extended, leaving a big revenue hole? In these arguments, the choice of baseline matters. The deficit-reduction plan crafted by Alan Simpson and Erskine Bowles, they say, calls for $3 of spending cuts for every $1 of tax increases. They began, though, by assuming Mr. Obama prevails and boosts tax rates on the over-$250,000 crowd—and then proposed tax increases on top of that, which makes the tax-increase-to-spending-cut ratio look smaller. Savvy observers frequently ignore often-inflated multiyear deficit-reduction boasts, and instead look at the deficit any proposal projects, say, five or 10 years out. That is less susceptible to baseline finagling. When the talk turns to the federal budget, listen very carefully. That’s it, folks. Chow down and digest slowly. It’s a short book review so you can go read the book and not have to endure me. Next review is a Nation of Takers.